We are delighted to be able to release the interim report for our annual clinical audit survey. CASC first ran the survey in 2010 so we now have nine sets of data, over eight years to compare. We would like to thank all 183 respondents that took the time to provide feedback. Once again, the majority of respondents classified themselves as a ‘clinical audit professional’ (60%) and 55% work in acute care. Highlights this year include: a significant jump in respondents stating they feel ‘more positive’ towards clinical audit than a year ago (up to 45% from 32% in 2017), a small improvement in views on national audits, a sharp rise in the number of respondents stating they have more local resources for clinical audit and a clear drop in the number stating they intend to leave audit in the next 5 years. This time we have also collected valuable feedback on: the best attributes of NCAs and suggestions on how the national audits can be improved, click here. Read the interim report, here. Take a look at our one-page summary, here. To assist those with an interest in clinical audit, we are delighted to be able to release a number of new bespoke Excel tools. Initially we are releasing three Excel spreadsheets with more to follow later in 2019. This work will also compliment the work we are undertaking on providing an accredited Excel course for audit and QI professionals. If you are interested in this, please get in touch. 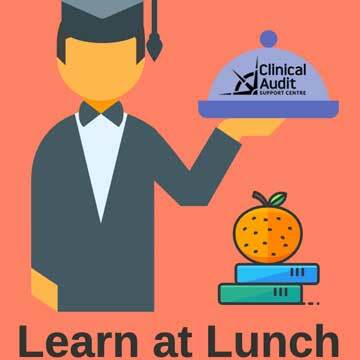 The first Excel spreadsheet is our ‘Is it Audit’ tool (click here) and by simply answering 4 questions you can determine if your idea is a clinical audit or not. Up second, we have our ‘Ready Reckoner’ (click here) and this allows you to quickly evaluate your audit idea to see if this is likely to be a successful audit project that is worth undertaking. In a similar vein, HQIP have allowed us to adapt their Quality Impact Analysis Tool (click here) and by completing the Excel form your proposed audit will be allocated a score out of 60. Both our ‘Ready Reckoner’ and HQIP tool will help you determine whether your audit is worth conducting and help you consider its relevant merits and weaknesses before commencement. 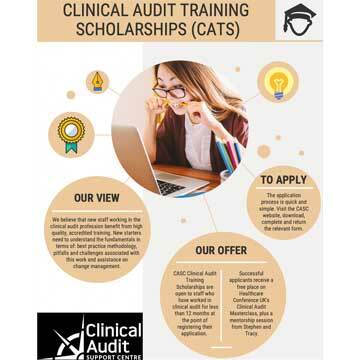 Finally, our ‘Clinical Audit Critiquer’ (click here) allows you to review completed audits and by answering questions the project will be awarded a score out of 25. This is an approximate way of assessing the quality of an audit project based on a number of criteria that most would view as best practice. The CASC team attended the annual National Clinical Audit Summit on 29 March in London. Once again, the event was supported by Healthcare Conferences UK, who helped increase numbers significantly compared with previous years by offering a discounted delegate rate to NQICAN members. The day consisted of keynote speakers (HQIP and NHS England), local presentations, workshops and was ably chaired by Carl Walker (NQICAN chair). For us, the two key highlights were: 1) NQICAN unveiling the initial data captured by their recent online survey and 2) Celia Ingham Clark (NHS England) stating that the national audit programme is under scrutiny and there is an expectation that some national audits will be down-sized and/or decommissioned to make way for new audits in coming years. In order to provide more feedback and useful signposting, we have created a one-page infographic that provides our ‘take-home’ messages from the event. To access this, click here. CASC have developed an electronic brochure that provides you with more details of the work that we support. 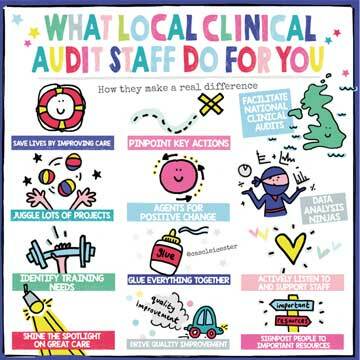 There are lots of examples of how we can support clinical audit and quality improvement projects, plus the brochure includes sections on: accredited training, consultancy, patient safety work, help we provide to staff in primary care, case studies, clinical audit awareness week, etc. The CASC team like to keep as up-to-date as possible and we enjoy examining a wide range of materials and resources. This ‘stuff we like’ section does what it says on the tin! We will re-fresh this section of our homepage approximately every month and our aim is to focus on highlighting useful and ideally less mainstream materials that those working in audit, QI and patient safety will find stimulating and useful. Since 2009 the CASC team have diligently searched through the NHS Jobs website to identify current clinical audit and clinical effectiveness vacancies. From this information we produce our weekly clinical audit jobs bulletin and typically this is released every Monday. By producing this document, we aim to save local audit staff looking for new opportunities lots of time.